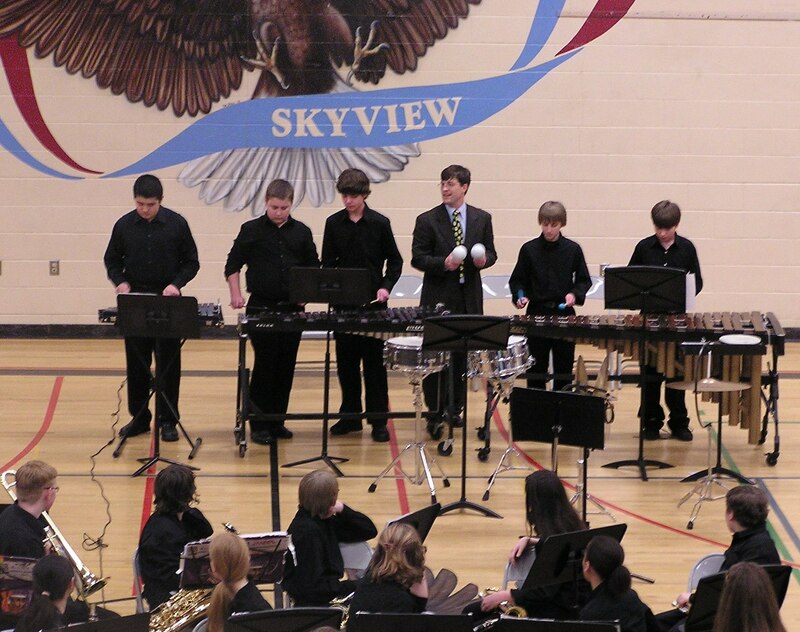 Beginning Brass Teacher at Skyview Jr. High School in Bothell—My Sixth Year! Lucky me! 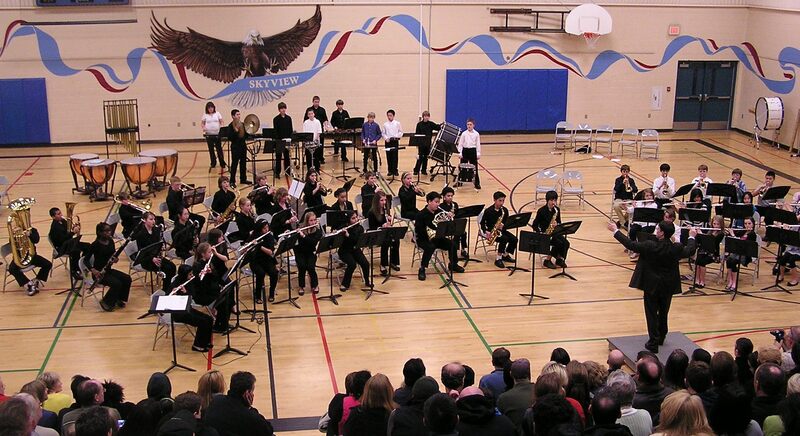 Under the guidance of Charlie Fix, Band and Orchestra Director, I get to teach beginning brass again to 5th and 6th graders in the two elementary bands that practice and perform at Skyview Jr. High School in Bothell. Classes for 2nd-year band members began on 12 September and for 1st-year band members, today, 4 October. This year, I have about 35 trumpet students, 10 trombones, and one French Horn. Some years, I have baritone players, too. This is my sixth year as a para-professional teacher in the Northshore School District. 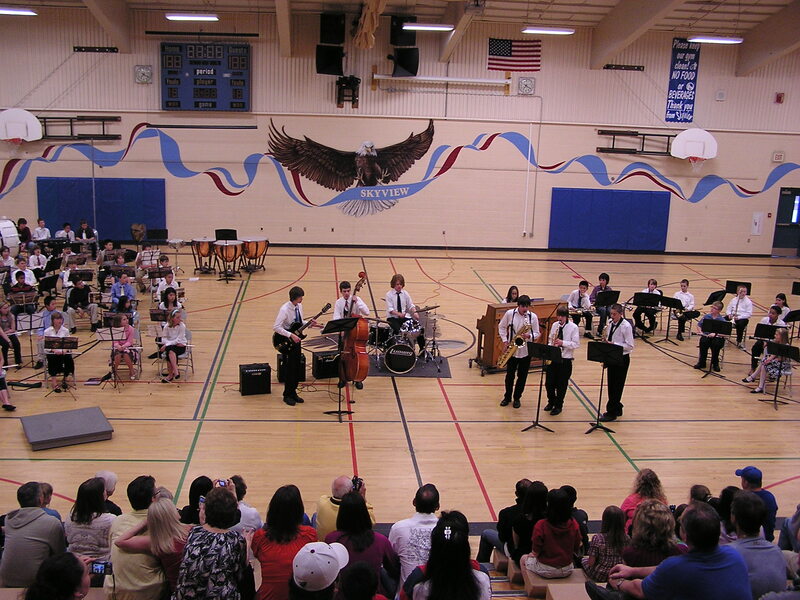 In addition, I give private lessons to other students in the North Seattle-to-Edmonds and Eastside areas. 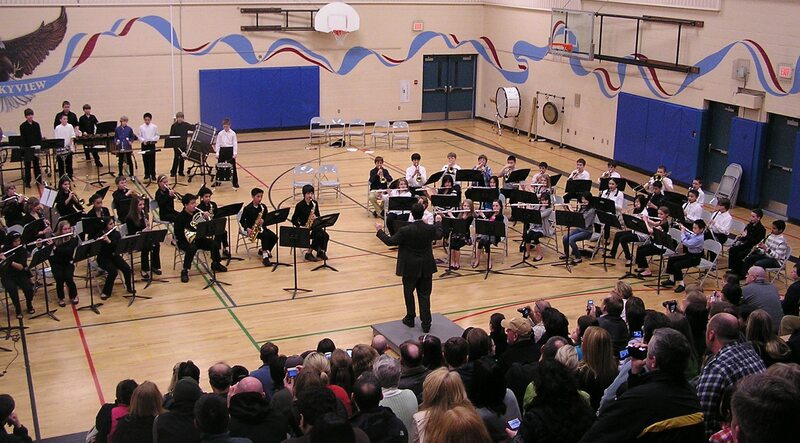 One of my private trumpet students just got promoted by the band director at Skyline Jr. High in Bothell to 2nd-year (6th grade) elementary band. 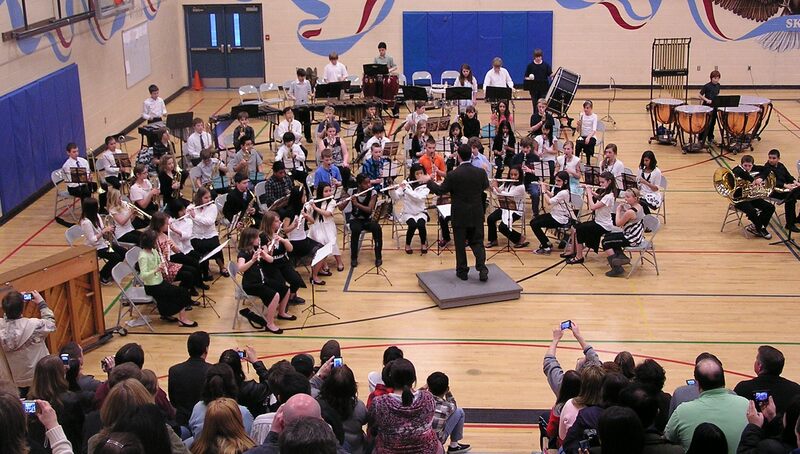 She’s a 6th grader who just started band this year, so she’s been playing among 5th-graders in the 1st-year band. She’s advanced far enough on the fast track that she now belongs among her own age group. I recommended the promotion to the band director, and he accepted it. Another 1st-year band trumpeter has been struggling with her tone (airy) and articulation (splatters). This week, I told her that because of her embouchure, I thought she might produce a better tone with sharper slotting on an instrument with a bigger mouthpiece. I asked her to try playing a trombone for me, and she was willing. 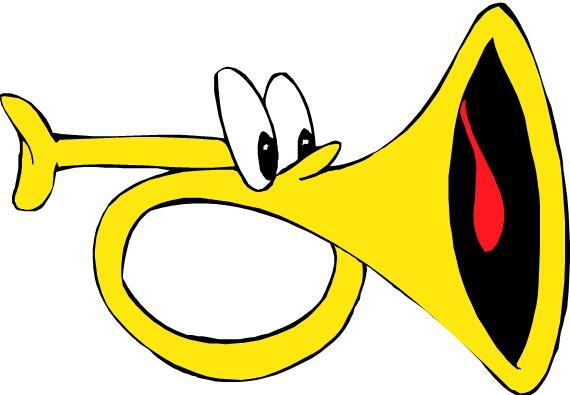 So in a small practice room, she blew on a school-owned trombone—and out came some big, fat solid tones over a wide range. I called in the band director, and we were all so excited. Given a choice of baritone or trombone, she chose trombone. And again, I experienced the teacher’s thrill—I helped two students get a taste of success. Wow, here’s a totally new experience for me! 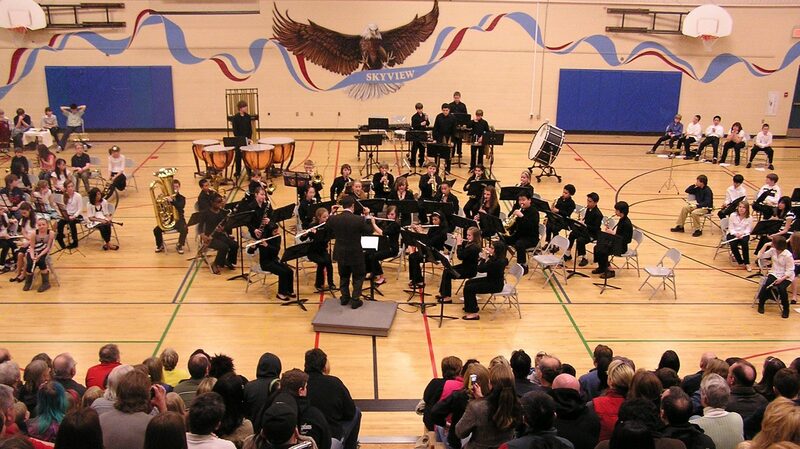 I’m now an assistant to the band director at Skyview Jr. High School in Bothell. He hired me for the 2010-11 school year to teach brass instruments to beginning band students from the local elementary schools which feed into that junior high. 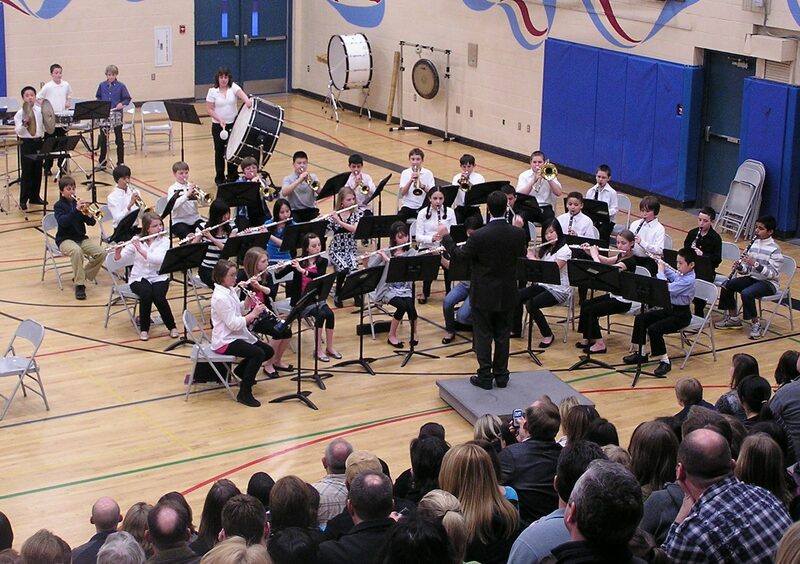 Each week, early in the morning, elementary band students will be bussed to Skyview for band classes. I’ll conduct rehearsals and teach the brass players (trumpet and trombone).